Bed Bug Barrier saved my life! The time I got bed bug was the worst nightmare of my life! It consisted of 3 months sleeping on the couch, vacuuming and steaming all house, washing and tumble drying all my clothes and cleaning bags shoes etc, having all my stuff in black rubbish bags on the backyard in the sun.. and the worst was my whole body covered in extremely itchy bites, I couldn’t sleep or go out of my house, go to work, anything! 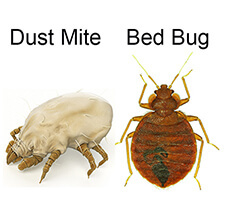 Then I finally found this website that teaches you all you need to know and do to get rid of bed bugs, with very good and clear videos to show you how to use the products and what needs to be done. After doing all that it was said, I still called a professional to come inspect my house to make sure there wasn’t any bed bugs left (I was desperate!) and he said: ‘I can’t believe in what you did here, you did a much better job then most of professionals I know, there is no chance you will find any bed bug in this house anymore!’ I know what to do an how to prevent this awful little creatures that can make your life a hell!